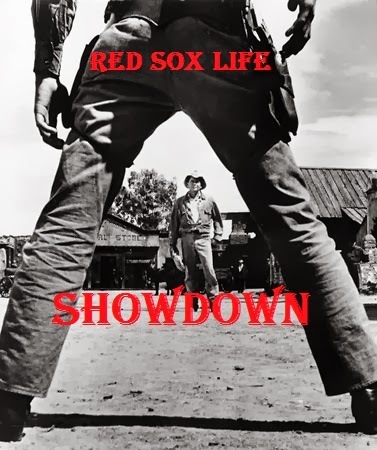 Red Sox Showdown is an occasional feature that pits two Red Sox Life contributor's in a one-on-one debate. This week, RSL writer's Ben Whitehead and The Guru tackle the topic of the American League Wild Card one game showdown between the Cleveland Indians and the Tampa Bay Rays. Cleveland fans better be thankful that the Wild Card matchup is not Game 162 or Game 163. If so, Evan Longoria just might go off and crank three homers. The Tampa Bay Rays third baseman has seven homers in the final game of the regular season over his career – a MLB all-time record Longoria set Monday in Texas. Longoria and the Rays have done all sorts of damage in eliminating teams on that final day. But this is the Postseason. This is different. No matter the angle, it appears the Indians have the advantage across the board. The game’s in Cleveland, where the Indians have been since Sunday evening. Meanwhile, Tampa Bay is in its third city in four days. Oh yeah, and there’s that whole home-field thing. Tampa Bay had a chance to clinch a home-field Wild Card spot, but dropped 2-of-3 to Toronto. Cleveland has won 10 in a row and climbed from being out of the top two spots into the driver’s seat for the No. 1 Wild Card position. 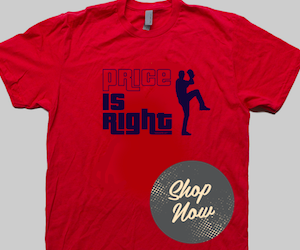 David Price just pitched a complete game win in Texas. Matt Moore isn’t starting this game. I know Alex Cobb (11-3, 2.76 ERA) is on the mound, but the Rays’ two aces aren’t pitching in a one-game winner-take-all match. That’s gotta count for something, right? Terry Francona vs. Joe Maddon. That’s a toss-up, but Francona’s a former Red Sox manager. Swisher, Giambi, Masterson, Jimenez, Kazmir, Bourn, Cabrera, Santana...The names aren’t exactly star-studded, but it’s a bunch of likeable characters (not shocking considering it’s Francona’s bunch). The guys are grinders and you feel like this Indians team is going to win at home. Cleveland is the Rock ‘N Roll Capital of the World. Tampa Bay…well, I don’t know what Tampa’s famous for, but it surely can’t beat Rock ‘N Roll. Yeah, you see where all this is going. I’m taking the Indians. We’ll see you in Fenway Friday, Francona. It's been a fun ride, Cleveland Indian fans. Now it's time to step aside and let the big boys play. Let's not get all cute here, the numbers will do the talking. 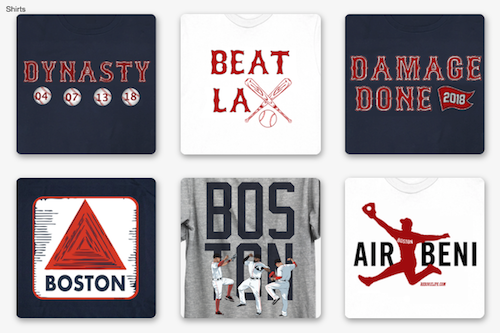 It'll be a Red Sox/Rays rematch in the ALDS. Starting Pitching: It's Alex Cobb (11-3, 2.76 ERA) vs. Danny Salazar (2-3, 3.12). Cobb is is 18-4 with a 2.87 ERA in his last 33 starts. The Indians have a lefty heavy lineup and Cobb has held left-handed hitters to a .235 average this year. Salazar has 10 career starts and will be the Indians youngest playoff starter in 12 years. Lineup: The Rays finished fourth in the majors in on-base percentage (.329) and were top 10 in runs scored (700). Evan Longoria led the team in home runs (32) and RBI (88). James Loney and Ben Zobrist each had over 70 RBI and rookie Wil Myers hit .293 with 13 home runs and 53 RBI in 88 games. Cleveland finished 10th in the league in home runs and only had two players hit over 20 homers. Closer: Indians closer Chris Perez was a mess down the stretch and manager Terry Francona has no trust in him. Who closes? Justin Masterson and his sore oblique? Joe Smith? That has got to be an alias. Meanwhile, Joe Maddon will roll out Fernando Rodney and his crooked hat. Rodney rebounded in the second half this season with 15 saves and a 2.73 ERA. He was six-for-six in save chances in September. Defense: The Rays are the fourth best defensive team in baseball. If you want a numbers, I'll give you a numbers: The Rays team UZR was +37.7. The Indians have a -42.5 UZR. Did someone say pitching and defense wins? Manager: Joe Maddon vs. Terry Francona. Two of the best managers in the game battle it out in a one game do-or-die battle royale. Expect squeeze plays, double switches, bullpen juggling, steals of home, mascot knife fights and maybe a little gamesmanship - all in the first inning. Perhaps it won't be that crazy, but each manager has been here before and know how to win. Prediction: Rays 4 Indians 2. The Indians are in this game mainly because of their 30 -10 record against the lowly Twins and White Sox. Against everyone else, they were a .500 team. The Rays won 92 games plus one and are not done yet. Thoughts on today's showdown? Leave a comment below.